Hyundai Motor has again achieved international recognition by winning two iF Design Awards – for the All-New Kona and the i30 Fastback. Both cars won the award under the Product heading in the Automobiles/Vehicles category. Hyundai’s on a roll at present. Having firmly established itself as a top tier player in the Irish market, the Korean brand is rapidly expanding its range. The latest new arrival is the Kona, a family hatchback-sized crossover that’s right on the money in terms of consumer appetite. Hyundai Motor’s i30 has gained the maximum five-star safety rating from the independent vehicle assessment organization Euro NCAP. This result underlines the success of Hyundai’s approach to democratize advanced safety technologies and features across its i30 range. The first Hyundai Motorsport built project designed for circuit racing will make a first public appearance next month. The team, together with development partners BRC, will continue the testing of the TCR project, running at the Touring Car Endurance Series’ 24H Misano in Italy on July 7-9. Hyundai Motorsport is looking to continue its recent run of strong performances with another positive result at Rally Italia Sardegna, the seventh round on the 2017 FIA World Rally Championship. Hyundai Motor has heavily invested to make it one of the most advanced steel production facilities in the world. The biggest benefit of this is the ability it has given the company to develop proprietary ultra-high strength steel that can give Hyundai vehicles a crucial advantage. Hyundai Motor has sold more than 1.4 million SUVs since the introduction of the first-generation Santa Fe in 2001. The upcoming KONA will be the newest member of the Hyundai SUV family. Developed to strive for the utmost energy efficiency without compromising driving performance, IONIQ’s powertrain option represents a unique and uncompromising statement towards a cleaner mobility. 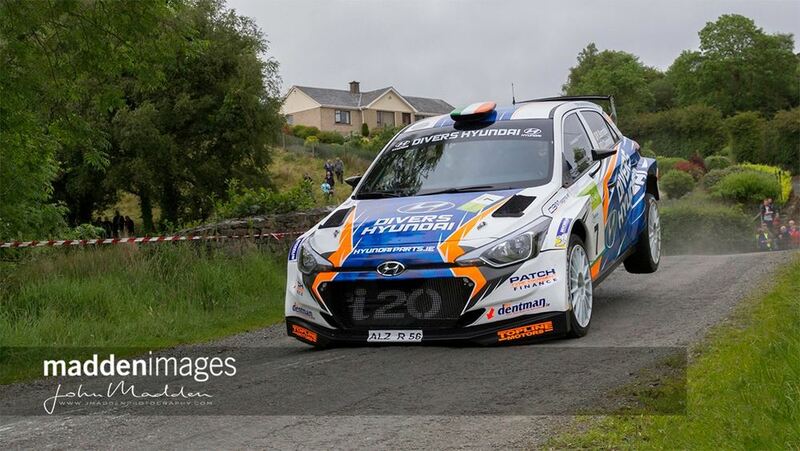 Hyundai i20 R5 at the Donegal International Rally. Robert Barrable driving the Hyundai i20 R5 at the Donegal International Rally 2017.